Oral surgical training requires an additional 4 – 6 years AFTER completion of dental school, giving the oral and maxillofacial surgeon the highest level experience and training. It is the most rigorous and competitive of all dental specialties. 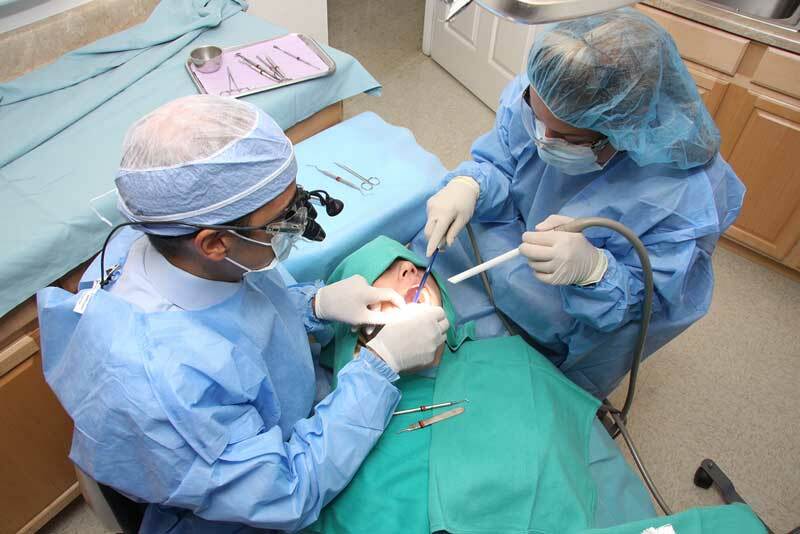 Most of the procedures performed are in an office surgical setting. Sedation and general anesthesia can be used to manage discomfort and anxiety. It is important to note that Dr. Felgenhauer has completed extensive hospital based training in general anesthesia and is fully licensed to deliver outpatient general anesthesia and intravenous sedation. The staff is trained in assisting with surgical procedures and anesthesia consistent with the guidelines of the AAOMS. Some procedures may require a hospital setting. This may be a same day procedure or a stay of a few days depending upon the procedure performed. Dr. Felgenhauer has been on staff at Edwards Hospital in Naperville since 1988.